2014, for flute, clarinet, violin, cello, piano et percussion. Commissioned by the Blue Rider ensemble. Premiere: December 9th 2014, Oscar Peterson Concert Hall. 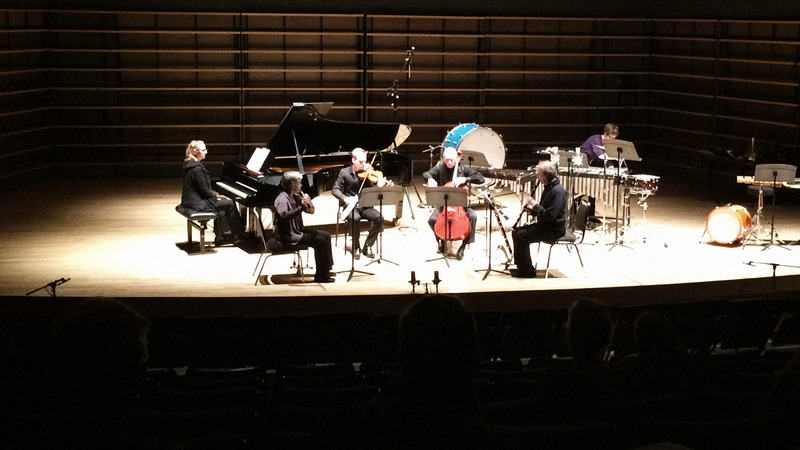 This work for small chamber ensemble, commissioned by the Blue Rider ensemble, is a deconstruction of the classic baroque forms. Through a harmonic language which borrows from Shostakovitch, Bartók and Pärt, as well as from the processes of temporal contraction and dilation characteristic of my recent works, this piece blurs the formal framework exposed by the title. The prelude is only hinted at at the beginning, and the fugue sets in, annoucing the passacaglia that it will contaminate. The prelude closes the form, too elegiac after the central tension, and disturbed by the other two parts’ themes which transcend their original frame and try to derail it, without success. 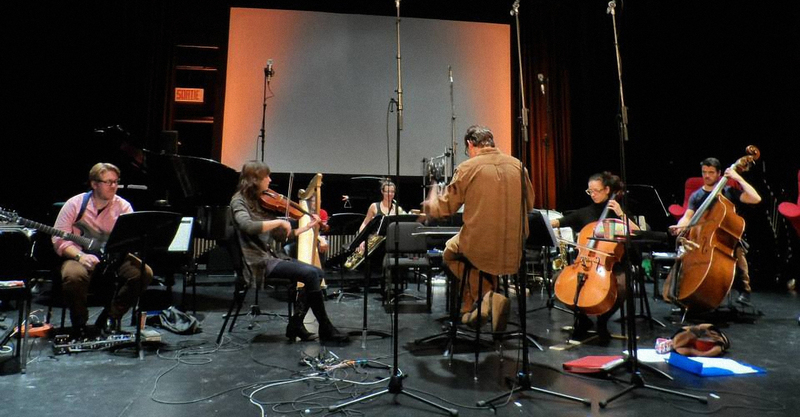 Audio: recording of the premiere by the Blue Rider ensemble.